SOLD OUT! For any remaining copies, please refer to Powertool Records in NZ or to the Grapefruit Record Club in the USA. Alternatively, I offer my assistance in trying to track down a copy. Raise your skinny fist to the sky, like an antennae reach up high… Seafog’s debut Lp, an ode to their many musical influences. This album encapsulates who they are and where they are coming from. This Dunedin trio could easily be Jetty’s noisier sibling as it includes the rhythm section of Sadler and Sharma who along with Waters formed the band in their environs of Port Chalmers a few years back. With added guitar effects and experimentations along with sound landscapes the album was recorded by Forbes Williams in the Port Chalmers Masonic Lodge now the Ante Room where they found a cohesive live vibe. Forbes remastered and engineered formidably becoming an extra member in the process. With the support of Zelle Records, Raise your skinny fist is now on a slab of black vinyl for your listening pleasure. The songs are a mix of layered atmospheres from times past, lyrics range from gentle observations, tributes to indie bands, support for the troubled and our search for an escape route. Check the album out or buy the download for NZ$7.00 at Bandcamp. “Songs about songs, about listening to songs, about living with songs, about living in songs? Here’s one, straight from Dunedin’s underground. 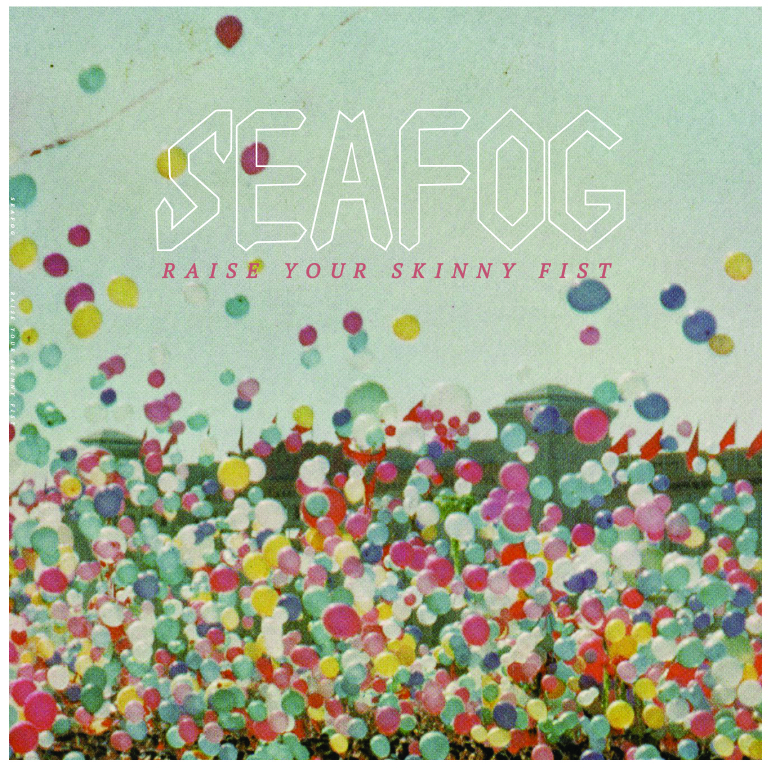 So “Raise Your Skinny Fist” to the skies with Seafog.” Klick HERE to read the POP LIB review of the album. “Listening to Raise Your Skinny Fist is like sitting there watching a few blokes standing in a room with the express purpose of performing music, as opposed to a highly stylised, oh-so-hip media circus of a band in matching threads wooing you for your hard-earned dough. I don’t have to see the band to know they’re good.” Klick HERE to read the MUZIC.NET.NZ review of the album. “Veteran Dunedin musician Rob Sharma’s passion remains undimmed.” Klick HERE for Shane Gilchrist’s article on Raise Your Skinny Fist in the Otago Daily Times. “Sharma’s voice has a very human sort of waver as he intones a loose jumble of impressionistic phrases punctuated with pauses, so that you can almost picture the tentative dots and dashes between the words in his notebook.” Click HERE to read Grant Smithies’ review in the Sunday Star Times. Klick HERE to listen to The Local (29/9/2016) with Dave Local and Seafog on Radio One 91FM.